There are 25 cover designs with screen-printed lettering. Each copy has a randomized sequence. Customers will receive one of the 25 cover designs with randomized contents. Takashi Homma’s work has come to represent contemporary Japanese photography since the 1990s. This photographic output is also an investigation of photography in various forms, questions ways of seeing and ways on photographing. The images in this publication were generated during a two-day performance held in Tokyo. Event participants were asked to select an original print by Takashi Homma. The photographer then cut the print into strips of varying shape. The fragments were handed to the participants, who then freely rearranged the fragments into new configurations. The completed recompositions were stamped by the photographer and then photographed. A selection of the reconstructed photographs were selected for this volume. 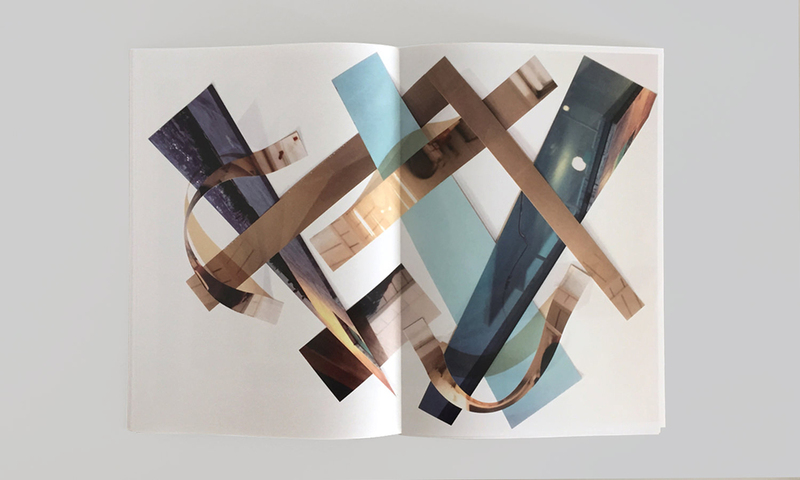 The book's design concept is an extension of the means by which the images were created; the book is comprised of twenty-five individual folios that can be re-ordered freely. The resulting recombinations of the left-and-right pages remixes the compositions of the photographs.